This example of the 2523 Por Bor Ror Edition Luang Por Kasem coin amulet is in such perfect condition with an especially beautiful and pristine condition surface finish, that it simply stands out when held against other examples of the same edition. It has never been worn or used and is in perfect condition, despite several decades passing since its making. The rear face has the Royal Por Bor Ror insignia emblazoned upon it with the Regal Chada Crown head-dress. The upper half has Sacred Lanna Khom script embossed with Buddhist Incantations. The edges have Thai script which say 'Run Pised' (special edition), and 'Sussaan Trailaks Lampang (name and location of temple). The amulet is made from Nuea Tong Daeng Rom Man Pu (Sacred Copper Alloy with reddish oiled finish). The front face has an exquisitely designed image of lp Kasem seated in meditative posture, with flowing Civara robes . The details of the coin are absolutely perfect likeness of the Great Arahant of Lampang. 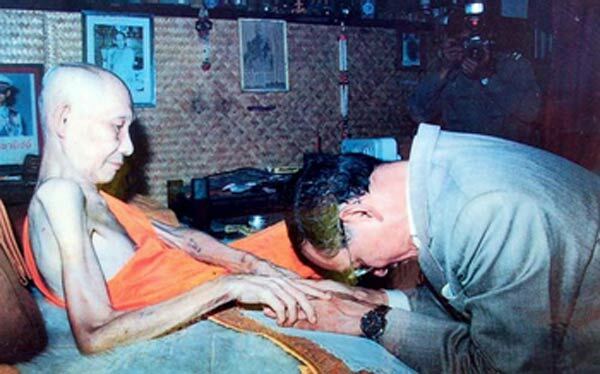 Luang Por Kasem is a Master Guru Monk of the Lanna Tradition whose dhamma practice and renunciation is worthy of great reverence. Presumed to be an Arahant, His amulets are full of Puttanupaap (Buddha power of protection and fortune), because of the purity of this monk's practice. 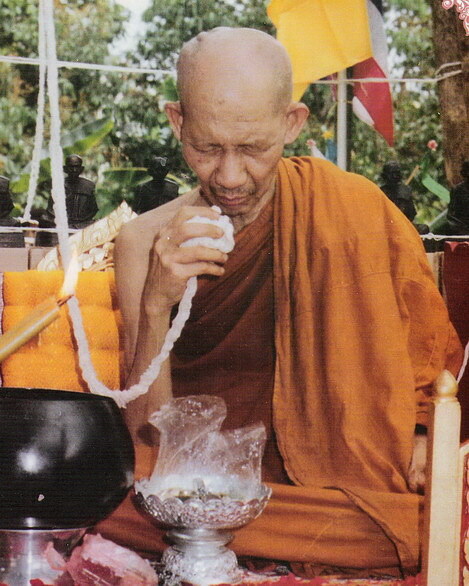 His meditative power and clarity of concentration used in blessing the amulets is that of an Adept practitioner. LP Kasem is one of the few Master Monks whose power and sacredness is legendary on a Historical level, but whose amulets are still affordable compared to some other amulets of other top Gaeji Ajarn. His amulets have become very popular with Thai people since many Devotees who wore LP Kasem's amulets have turned up telling stories of great luck in commerce, love, as well as tales of miraculous escapes from fatal accidents, and lethal attacks from enemies. 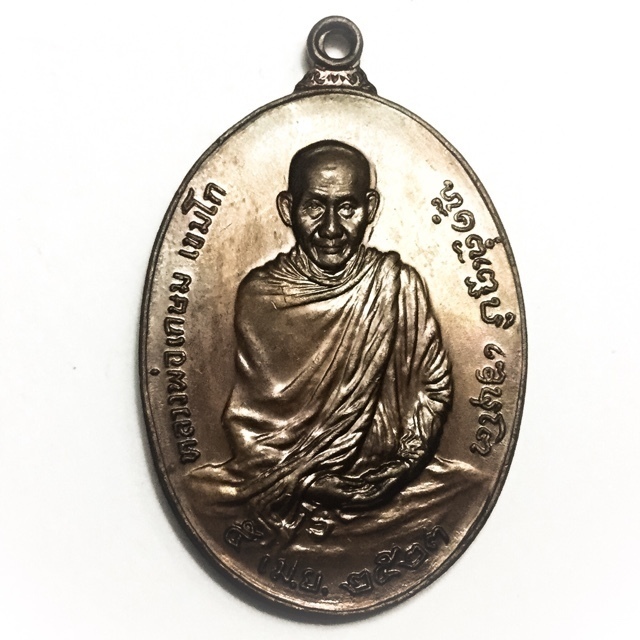 This is one of the most popular and sought after editions of amulets made by LP kasem and is valued by collectors and "Sian Pra" in the professional amulet collector circles as yet another great amulet worth collecting and making Bucha to for recieving the blessings of Metta, Kong Grapan, Choke Laap, Maha Sanaeh and Klaew Klaad that Luang Por Kasem's great purity endows the amulet with when he blesses them. This coin amulet is very rare - only one in stock. This coin amulet is an absolute masterpiece of miniature Buddhist Arts, and an immensely recommended for devotees of the Guru Monk Luang Por Kasem Khemago.